Welcome to"El toque de Candombe"
This website contains music and information about a textbook, its authors' biographies, music clinics and workshops, concerts, videos, opinions, links and pictures connected with the Candombe. The Republic of Uruguay - its Capital City is Montevideo - is a small South American country bordering on the East with Brazil and on the West with Argentina. 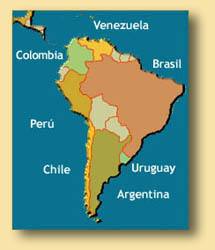 The present population of Uruguay is about 3,200,000 inhabitants. Uruguay's own music is the Candombe, a distinctive style which came into being in Montevideo as a result of the merging of cultures following the arrival of African slaves in the Eighteenth Century. The Candombe was a prime force in the creation of other musical styles in the region, like the Tango and the Milonga, and its influence is apparent in all the music of the River Plate area, especially so in the Murga, of Spanish origin. The Yorubas of Nigeria, the Bantus of the Congo and Angola, the Ewe-Fon and Fanti-Ashanti tribes of Dahomey and Mali or the Mandinga of Sudan are some of the ethnic groups of Africa who came to America as slaves and had cultural influence on the whole continent. Their mingling with other, local, ethnic groups was the basis for the social and racial composition of the old Spanish colonies, and even today this diverse heritage is apparent in many cultural aspects of the Americas. The cultural contribution of the African slaves who came to Uruguay is a distinctive feature of the country and especially of its music. 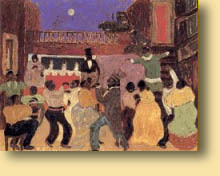 The Candombe musically identifies Uruguay as the Samba does Brazil; as the Rumba, Cha Cha Cha and Son identify Cuba; the Bomba and the Plena, Puerto Rico; and the Merengue the Dominican Republic. 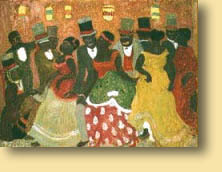 It was originally a dramatic and religious dance that attracted large numbers of the African slaves and their descendants. The Candombes were held on January sixth, the day of the Three Wise Men or Day of Kings in Uruguay, the slaves honoring the coronation of the Kings of the Congo. 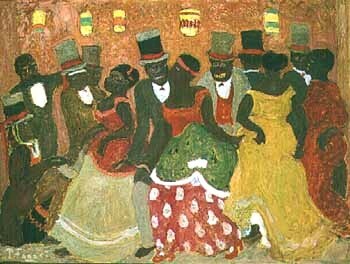 The ritual Candombe dance was held outdoors or in religious buildings, and the musical instruments which accompanied the dancing were 'Tamboriles' (or drums with a single skin nailed to the drumhead and played with one drumstick and one hand, or with both hands alone), 'Marimbas', 'Chocalos', 'Zambombas' etc. The word 'Tangó' denoted not only the dance itself, but also the drums used and the places where these religious rituals were carried out. 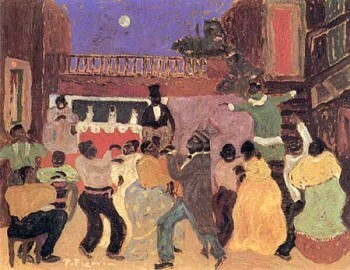 The rituals were forbidden and severely punished by the white population of Montevideo at the end of the Nineteenth Century on grounds of immorality; even so, the black inhabitants of Montevideo, living in slum areas of the Sur and Palermo neighborhoods, retained their dances and the beat of their drums. On Sundays and holidays in Montevideo there occurs a rhythmic 'dialogue' between drums, beckoning to the populace to join in a great celebration known as 'Llamada' ('The Call'). At some street corners of the old black neighborhoods groups of people known as 'Cuerdas de Tambores' (Drum Corps) light fires to heat-tune their drumskins, then march to the sound of the drums along the streets of the city to a meeting point. A drum corps is composed of from three to more than eighty drummers, playing on the traditional Chico, Repique and Piano drums. As they wind along Montevideo's narrow streets, their contagious rhythm calls on the neighbors to join the march. Distinguished Uruguayan musicians throughout the years have included this traditional rhythm in their music, among them Romeo Gavioli, Lágrima Rios, Pedro Ferreira, Alfredo Zitarrosa, José Carbajal 'El Sabalero', Eduardo Mateo, Jorginho Gularte, Hugo Fattorusso, Ruben Rada, Jaime Roos, and Jorge Drexler. During the '60s the Candombe became a driving force in the development of Uruguayan popular music, combining with practically all musical trends and styles, such as folk music, rock music, jazz and pop songs. Candombe today is regarded as the traditional rhythm of the Afro-Uruguayan culture and is a live musical style which is developing and extending its influence at an increasingly rapid pace. For further information and works, click on each.